Lost Friends / Family Lost friends from the Accrington area? Maybe someone here can help? This is a very long shot but here goes. Returning to my husbands family tree after a 10 yr rest. Great grandad was Station Master at Church. On the 1901 cencus he lived there with his wife and 11 children ( and a lodger ) his name Levi Greenhalgh , wife Margaret and the children were Beby 23 , Robert 21 , Walter 16 , Mary 14 , Levi 12 , Harry 10 , William 7 , Maggie 5 , Edwin 5 , Martha 4 , Rosehannah 3 month. Is there anyone related to any of these please. There was also a Charles but he not on the cencus so he may have died prior to cencus being done that year. Forgot to say Walter was my husband granddad who he never met. There was a Will Greenhalgh that had a Pawn Shop in Infant St, later he changed to Carpets and Floor Coverings, the change came before the '40s. I guess that he died sometime before 1950. He was married to Harriet (possibly nee Pilkington), and they had two daughters, Clemmie (Clementine ?) and Ada. They lived on Manchester Rd, more or less across from the Tramway. They were my Mother's cousins. 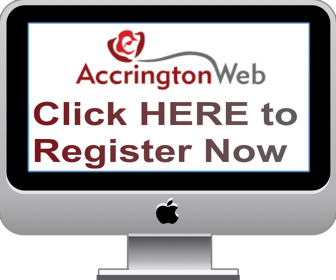 Check the Lancashire Family History Society's website. On the home page is a turquoise box - click onto it and it will tell you which members of the society are researching the name and send them your message. Barrie and Bob thanks for that , I shall look into it. Hi Greeny, did a quick check on your info and your Beby is actually Betsy. There was also a son named Lewis born 1904. It looks like Betsy, Maggie and Rosehannah all married at st Pauls Oswaldtwistle and Lewis at Immanuel Oswaldtwistle. Thanks for that Ossy Kid , we actually crown green bowl at Immanuel Oswaldtwistle , so you have pointed me in the right direction, many thanks. Next time we're home we will have to have a game there. I played with James St many moons ago. I did a tree for Peter Greenhalgh of Ossy a couple of years back but can't tie him into yours yet. Lewis Greenhalgh's son was called John and after he married he lived in Lonsdale Street on the Blackburn Road side of the bridge I don't know where he moved to when the house was demolished. Lewis's wife was called Alice May and his brother was called Fred and had a plumbing business in Willows Lane facing the top of Chester Street. wow. Fred Greenhalgh the plumber was my husbands father. He died in 1960 aged 40. Lewis has a son John who now lives in a caravan park near Preston , he is married to Maureen , they have three sons Michael,Philip and Steven. Sadly his sister Maureen died a few hears back.